Composting can be defined as the biological degradation of organic materials under aerobic conditions into relatively stable products, brought about by the action of a variety of microorganisms such as fungi, bacteria, and protozoa. 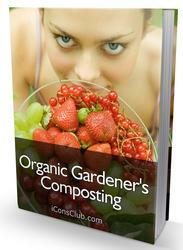 The process of composting may be divided into two main stages: stabilization and maturation. 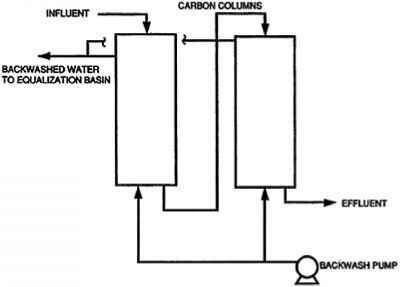 During stabilization, three phases may be distinguished: first a phase of rising temperature, secondly the thermophilic phase where high temperature is maintained, and thirdly the mesophilic phase where the temperature gradually decreases to ambient. During the first phase, a vigorous multiplication of mesophilic bacteria is observed, and a transformation of easily oxidized carbon compounds, rich in energy, to compounds of lower molecular structure takes place. Excess energy results in a rapid rise in temperature and leads to the thermophilic phase when less easily degraded organic compounds are attacked. When the energy source is depleted the temperature decreases gradually to ambient. Actinomycetes and fungi become active in the mesophilic phase, during which biological degradation of the remaining organic compounds is slowly continued. At this stage the composting material is stabilized but not yet matured. During maturation, mineralization of organic matter continues at a relatively slow rate until a carbon: nitrogen (C: N) ratio of 10:1 is reached and the volatile matter content falls below 50%. Only then is the compost completely matured. Authority  suggests paunch contents can be efficiently and economically disposed of by composting as long as offensive odors are not generated, and state that the most suitable composting techniques are turned windrows and aerated static piles.